In my mind, no meal is complete without dessert. 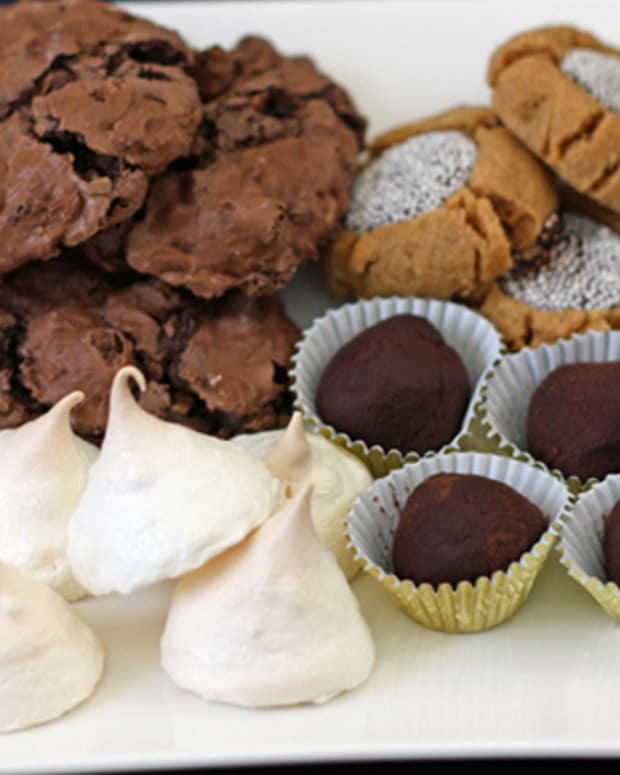 Chocolate chip cookies, pavlova, ice cream cake, lemon bars, brownies, and more can all be made kosher for Passover. I love having something sweet as a way to mark the end of a meal. 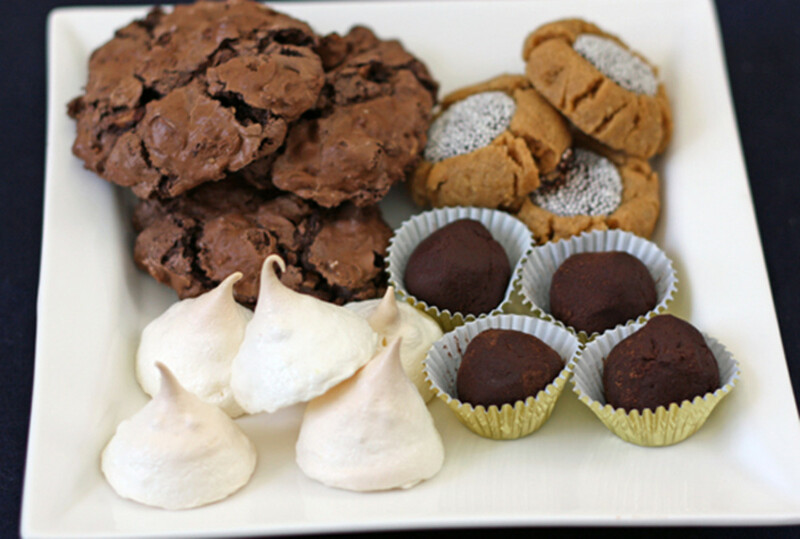 Passover is a great time to take a break from your usual desserts or it challenges you to find new ways to enjoy your favorite treats. 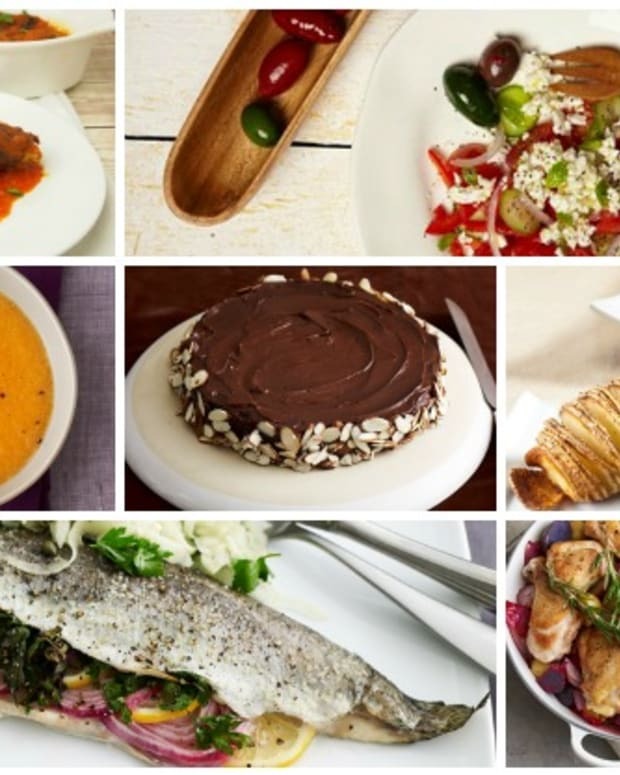 Below are 25 gebrokts and non-gebrokts recipes for Passover. When I plan for pesach I aim for simplicity, these recipe are right up my alley because they have so few ingredients and require no baking. 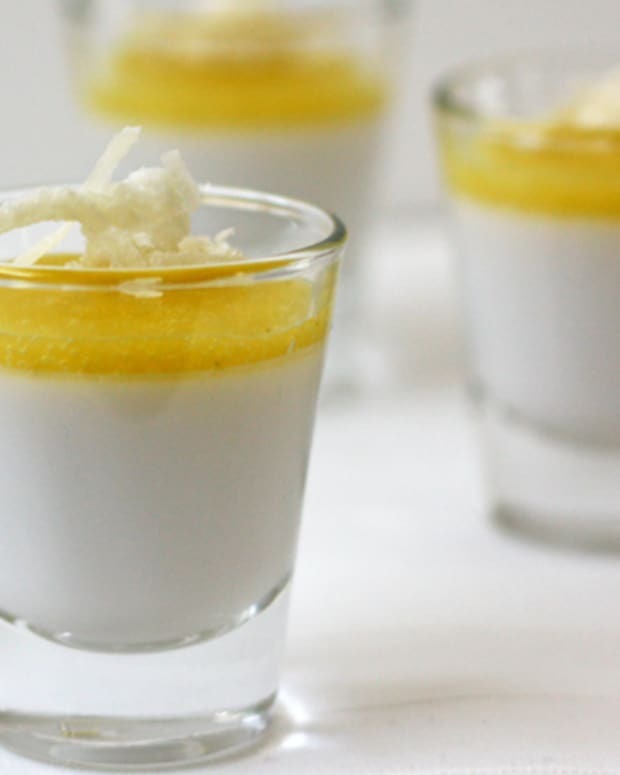 The recipe here is dairy, but you can use coconut oil to make them pareve. The recipe is so easy and everyone will love them. 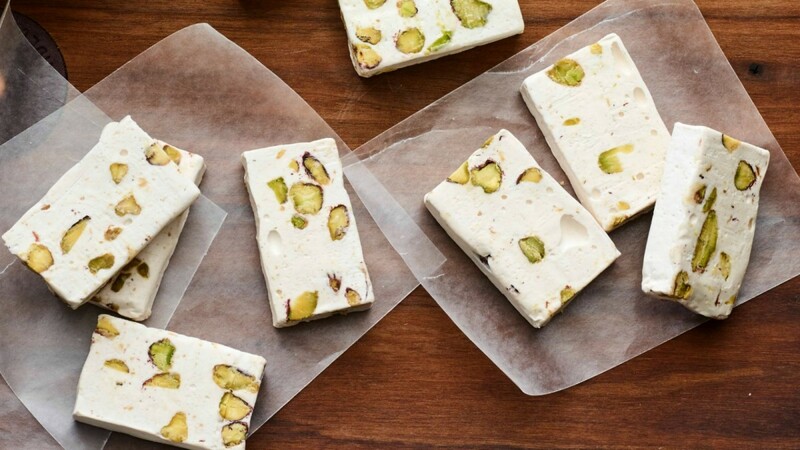 A special treat with plenty of versatility, you can add your choice of nuts and dried fruit to this nougat. If you&apos;re watching your sugar intake, just adjust how much honey, sugar and dried fruit you add to the recipe. While chocolate is delicious in and of itself, when you add sea salt, pistachio or orange zest both flavors are magnified. The chocolate agave shots are perfect individual portions which can be made in advance and dressed up in fun glasses and stunning serving trays. 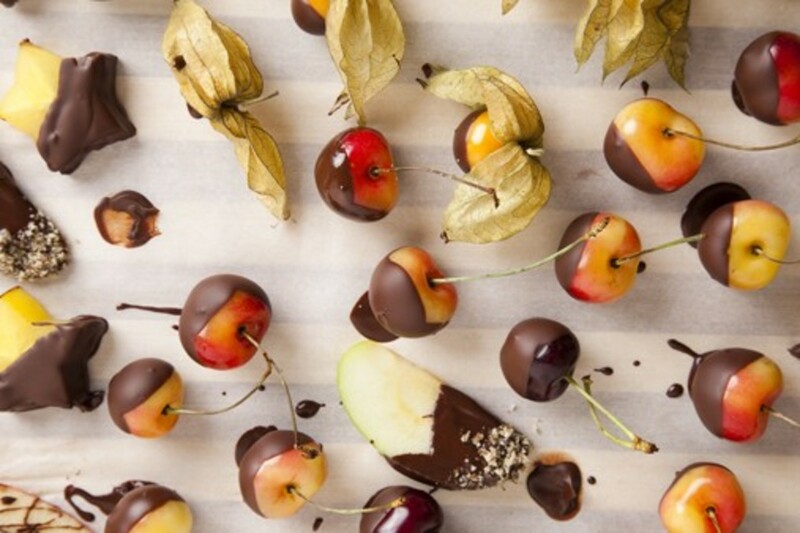 These truffles are gluten-free without even trying. If you don&apos;t use baking powder, you can glaze mixed nuts with sugar for a sweet and salty treat. 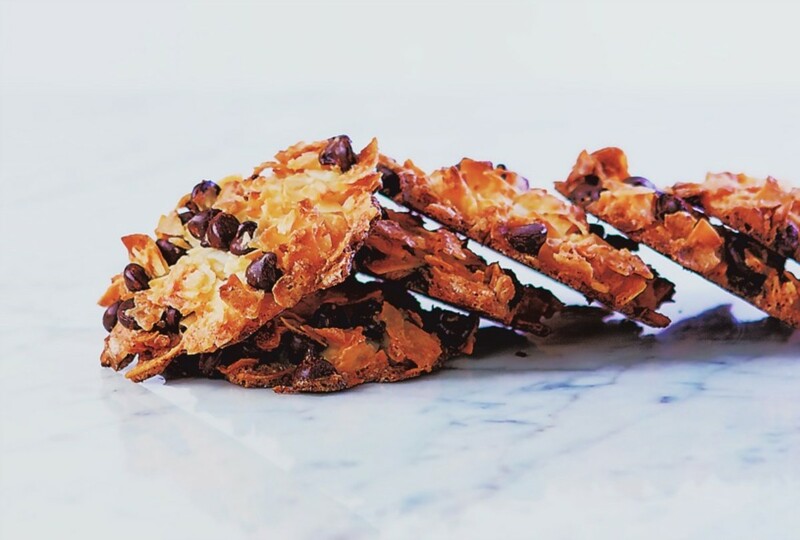 You could argue that these are healthy for you, but these macaroons will fly off the plate before you&apos;re done listing six ingredients that comprise this recipe. 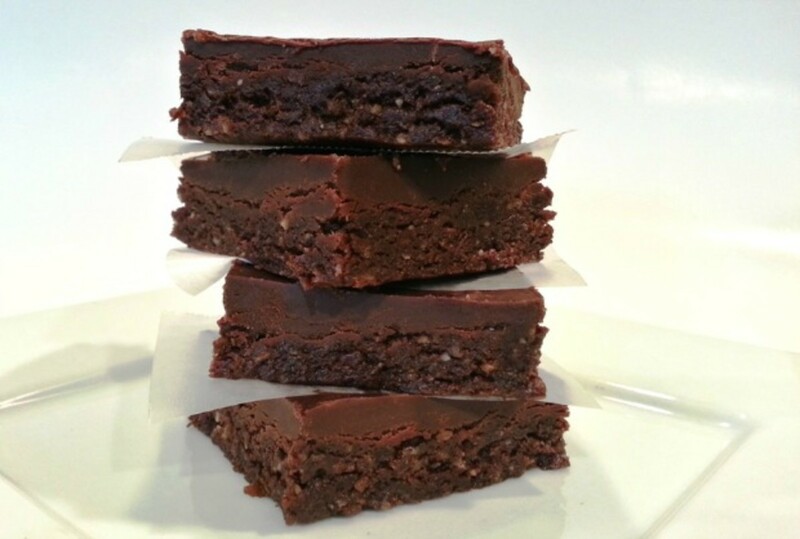 These raw brownies are gluten-free and made with kosher for Passover ingredients that are easy to find. 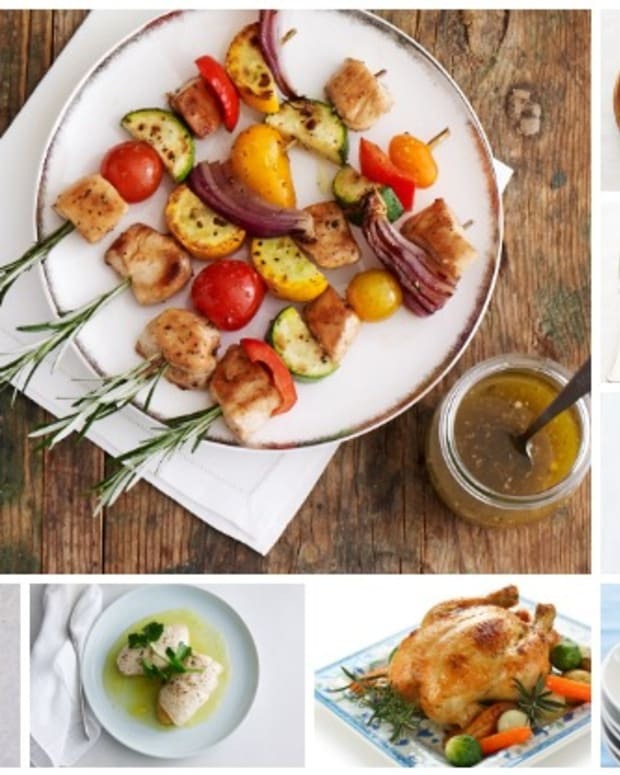 It&apos;s a great recipe to experiment with and customize based on your pesach dietary needs. 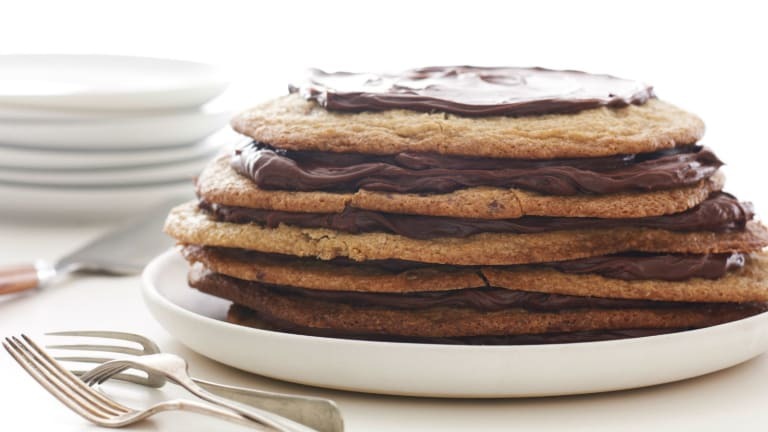 It&apos;s amazing how two ingredients can make something so delicious. 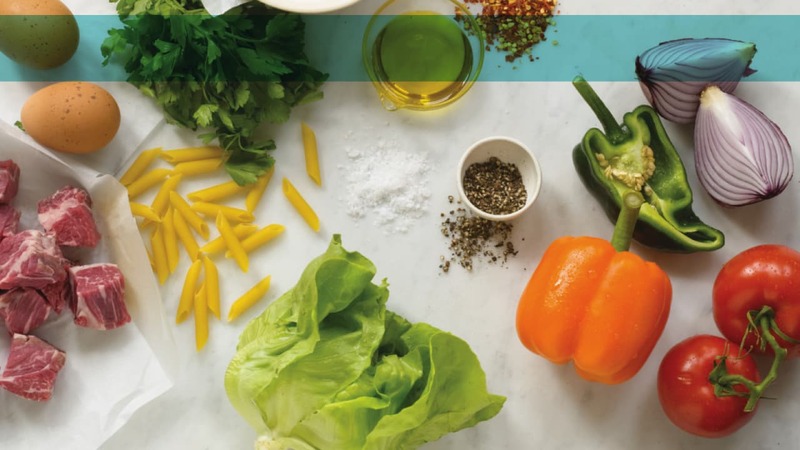 If "simple" is your Passover planning mantra, then this is a go-to recipe. 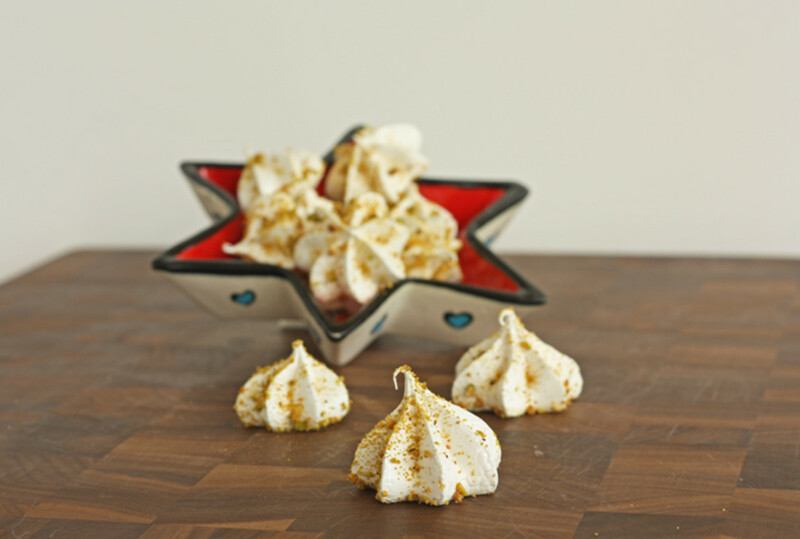 You can make these meringues two ways: pistachios folded into the cookie or sprinkled on top. A beautiful combination of egg whites, pistachios, saffron and rose water unite in one elegant dessert. The wow factor here is not just in the presentation, but by how impressed your guests will be when they hear how easy this dessert is to make! 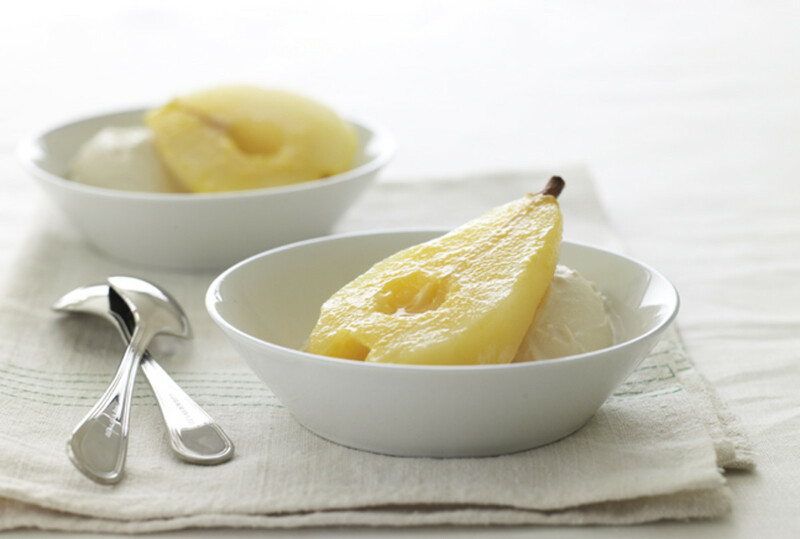 If your custom is to peel all of your fruits and vegetables on Passover, then this is a great recipe. 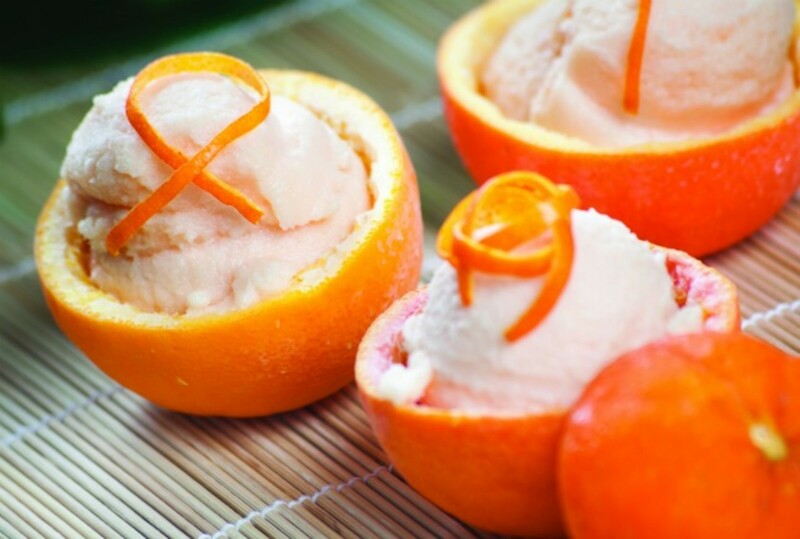 You can experiment by poaching different fruits with the citrus or flavor of your choice. 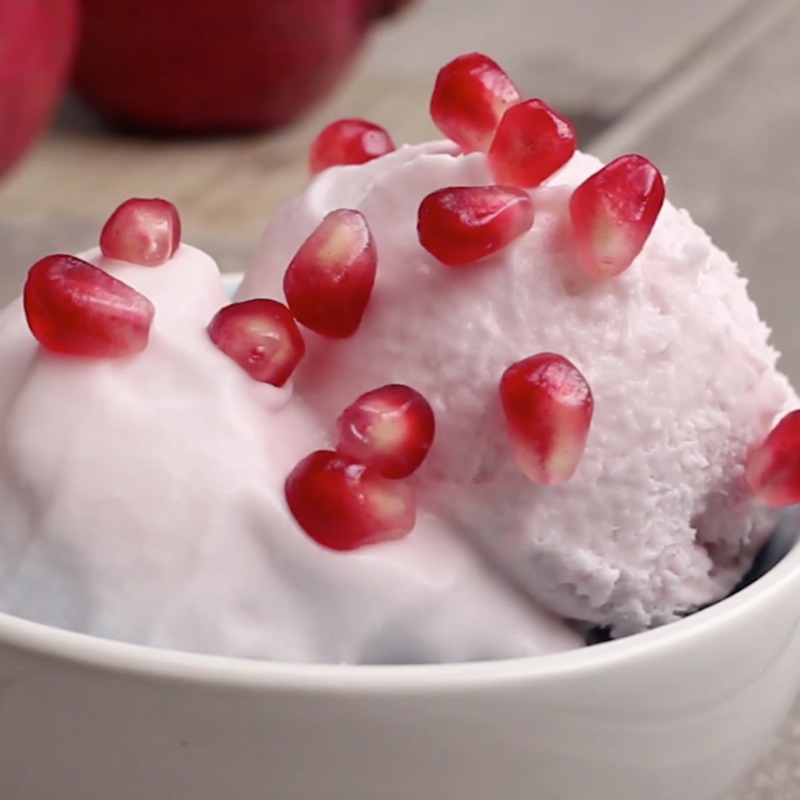 This gelato is so creamy, you won&apos;t believe that it&apos;s pareve. Try serving it with the Pesach Almond Snaps. 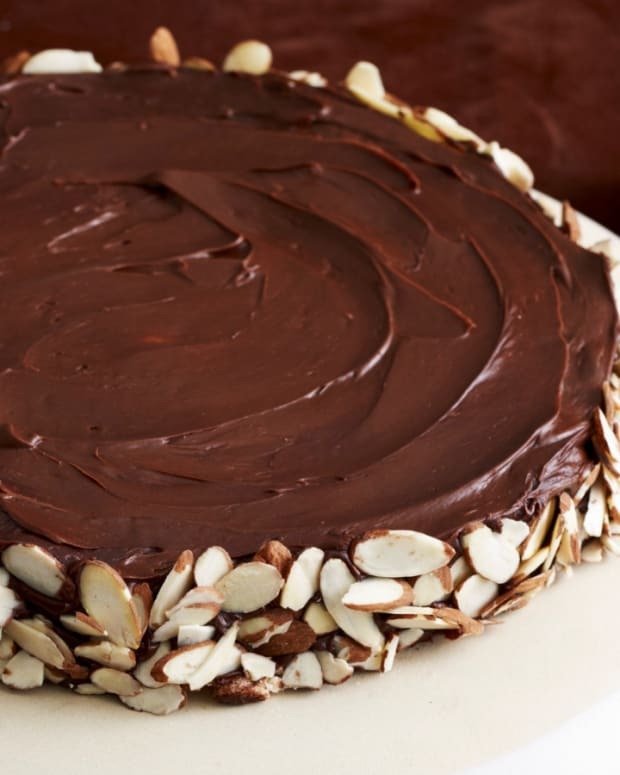 Finely ground almonds, hazelnuts and pistachios are the majority of the ingredients in this torte. 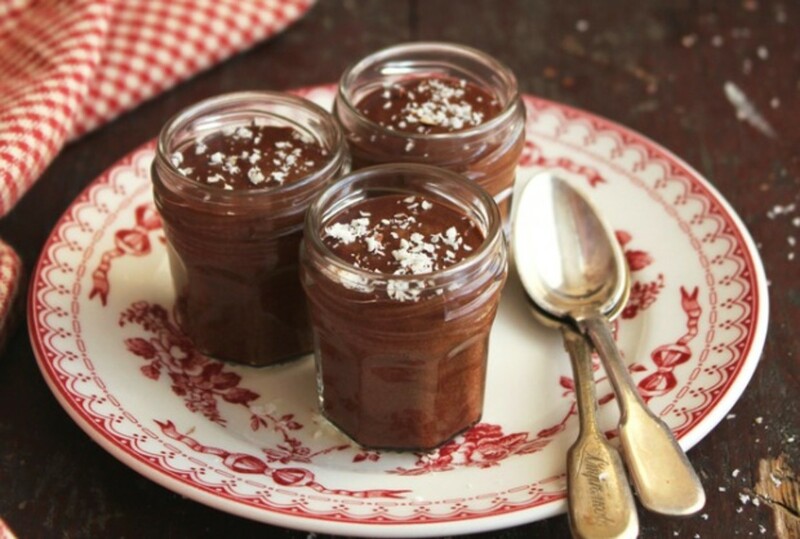 It&apos;s a great post-seder dessert that will really impress your guests. Easy, healthy and fun this is a great recipe to let the kids help with. This recipe is delightfully simple to make and impossible not to love. If the weather here in the Northeast is remotely warm enough, I am making popsicles for Passover. 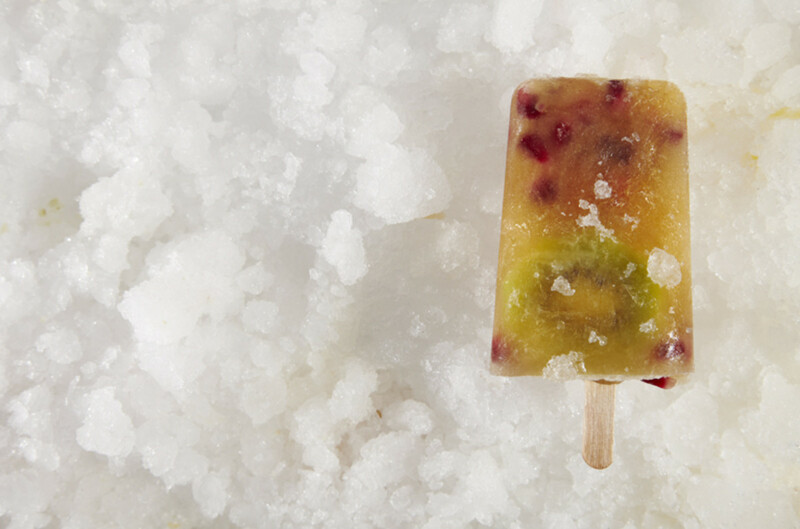 It&apos;s hard to believe that so much flavor can come from one popsicle, but when you combine apples, kiwi and pomegranate you&apos;re bound to experience refreshing flavors. 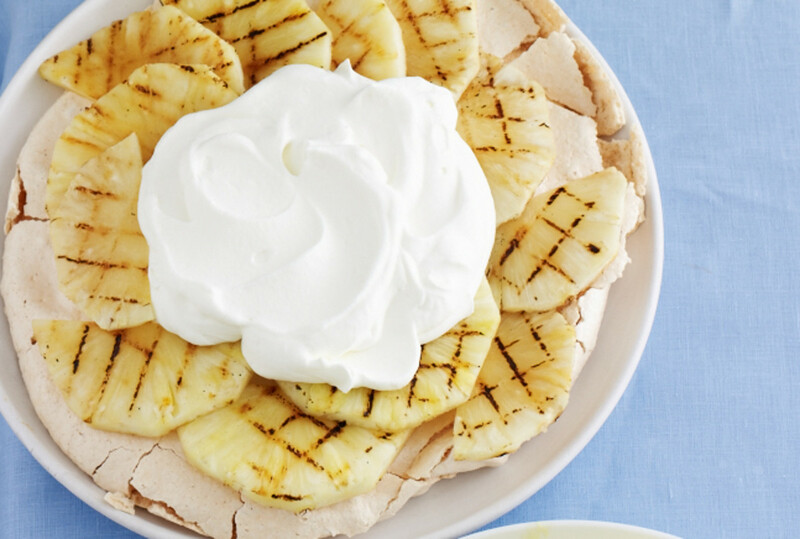 I didn&apos;t realize that pavlova was a traditional Australian dessert. This kosher for Passover recipe doesn&apos;t compromise the traditional flavors. 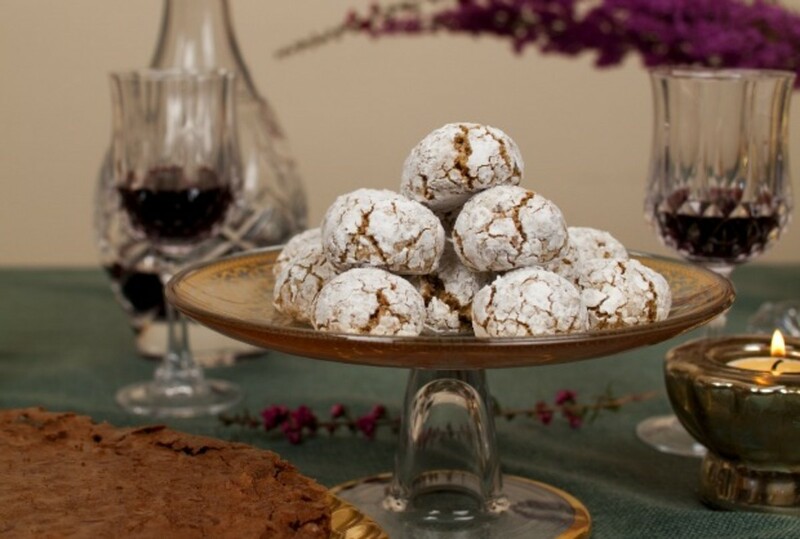 This is a great dessert for Passover because it can be prepared in advance. Individual portions are great because you can make a few extra to serve if you have any unexpected guests. 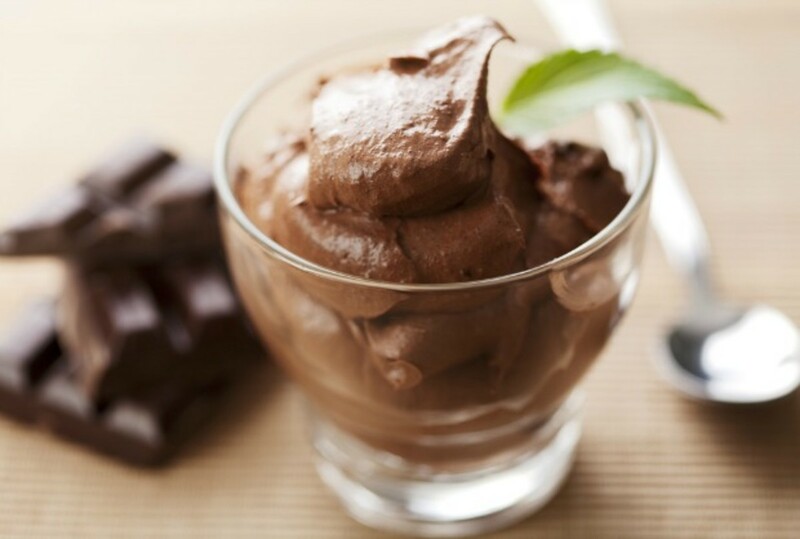 A great dairy dessert that limits calories, but not flavor! This is one of those "I can&apos;t believe it&apos;s kosher for Passover" desserts. 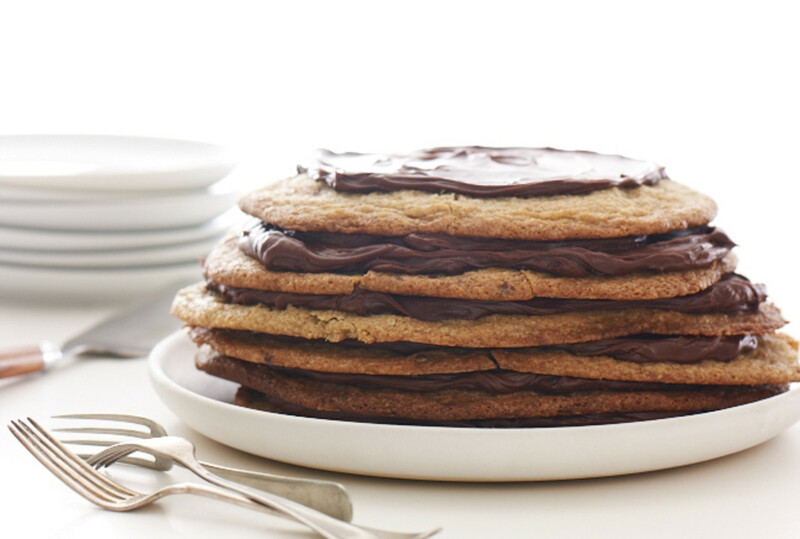 Decadent and satisfying, make sure to get a slice early because it will disappear in a flash. 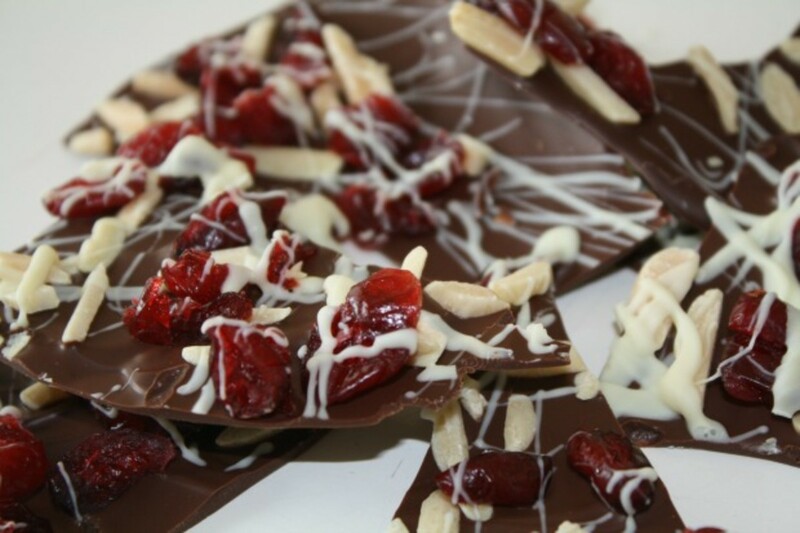 Customize your bark with your choice of dried fruit and nuts. Or, experiment with flavors such as sea salt, orange zest and coffee. 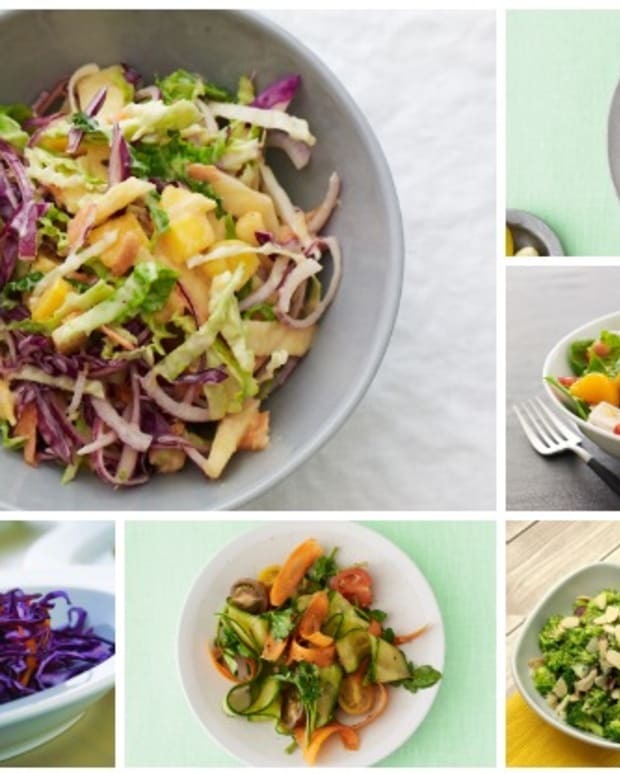 This recipe can easily be dressed up or down depending on how you serve it. 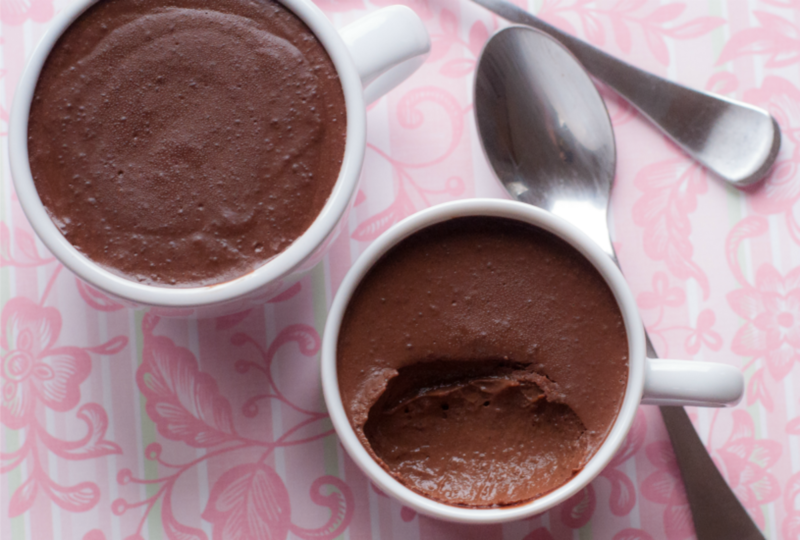 Make an extra batch if you want leftovers, because this mousse is going to be hugely popular. The four C&apos;s stand for chocolate, caramel, coconut, and curry. 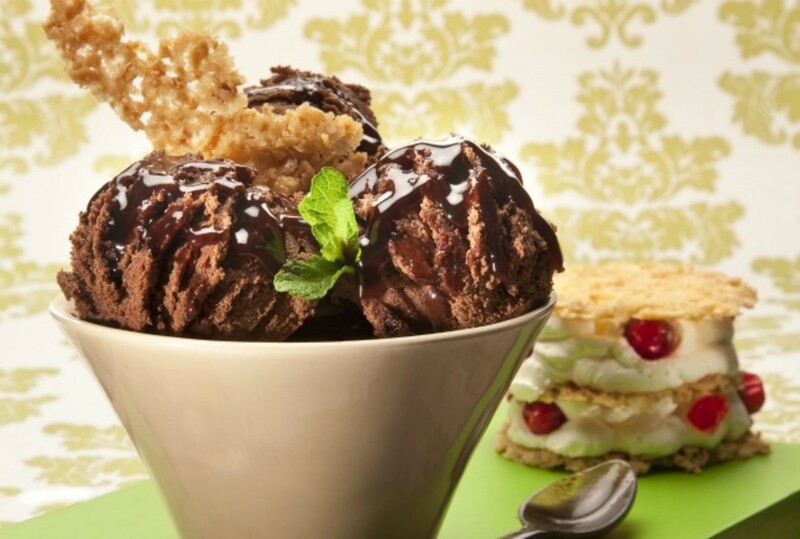 This striking combination is bound to leave and your guests reaching for seconds. 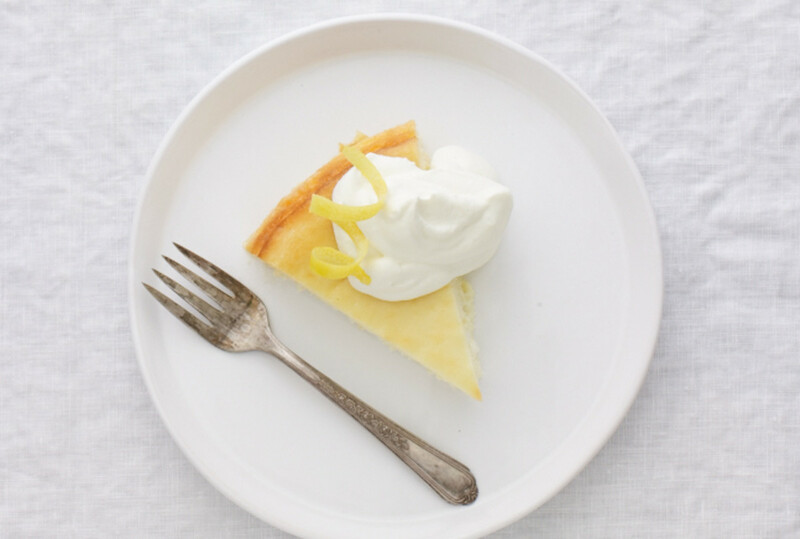 Zesty and refreshing, this is a great dessert that can be made in advance. Macaroons are a perfect base for a gorgeous 3 layer cake. 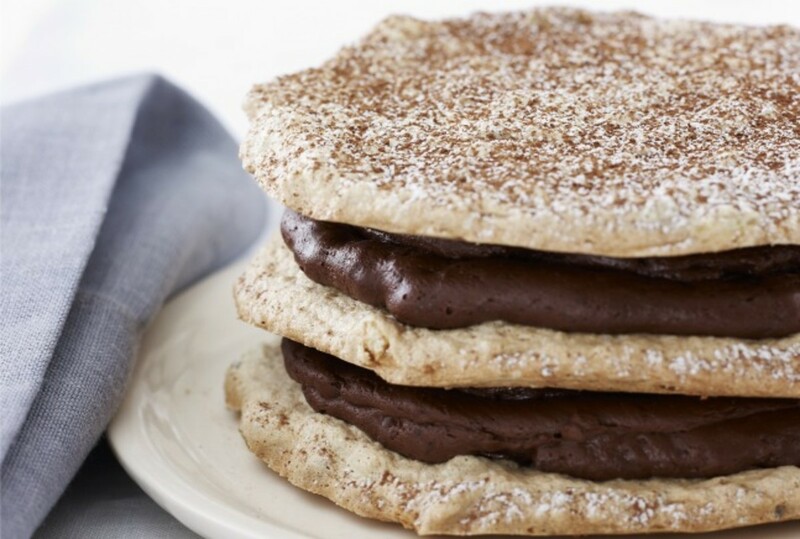 Loaded with chocolate, even if you don&apos;t like macaroons you will like this cake. The appearance of this cake is so minimal it is striking. 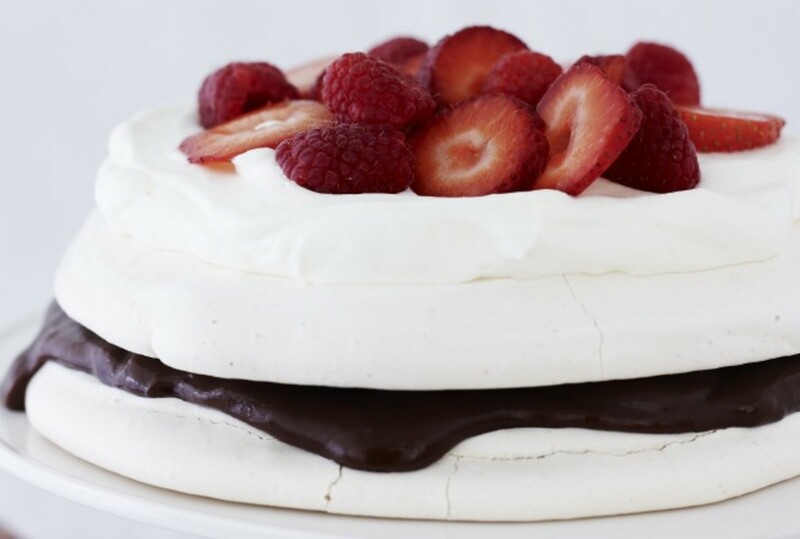 The recipe can be made as a large meringue cake or smaller individual sizes, and because it freezes well it can be made in advance. 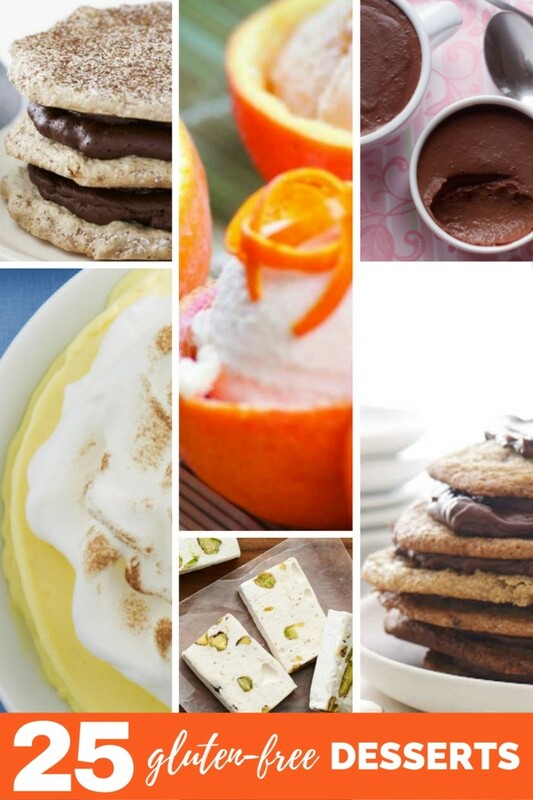 Explore more Passover recipes here.